Not everyone with borderline personality disorder (BPD) seeks individual help. When your significant other shows signs of BPD that is affecting your relationship but won't seek help, what do you do? Some might consider couples counseling. Your partner may even agree to it. But can couples counseling be effective for treating borderline personality disorder? Could it save your marriage? This scenario puts you as the spouse in a difficult position; you think that your partner may have BPD, but he or she won’t seek a formal evaluation or individual treatment. While couples counseling may be helpful, this is an issue that needs to be addressed and you need to do some self-reflection. With severe mood swings, violent episodes, and issues with spending or addictive behaviors, having a spouse with unmanaged BPD can be frightening. It is a serious illness that can have significant consequences for the whole family. While improvement is certainly possible, it requires real commitment from both partners. If you have already decided that you are willing to stay in this marriage no matter what, couples counseling may be an important first step, though it's far from ideal. 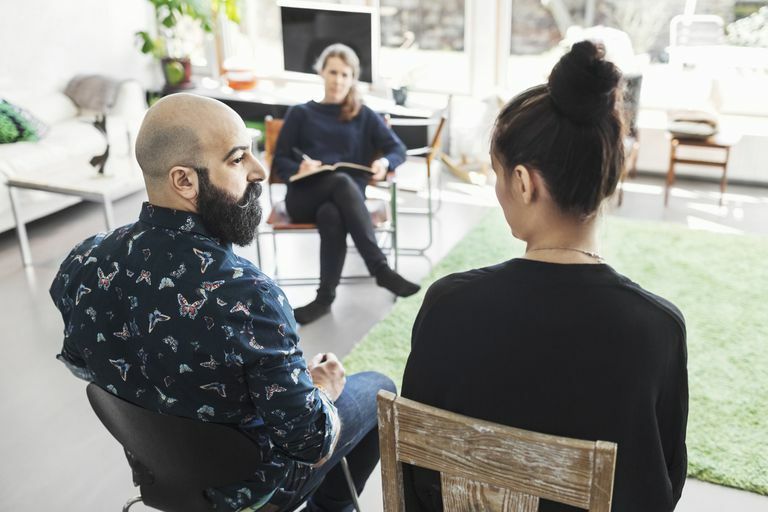 Group therapy and marriage counseling are not typically introduced in BPD treatment until later when some progress has been made, but this may be a good starting point when couples counseling is all that your spouse will agree to. There is very little research available on the impact of couples counseling for borderline personality disorder, but experts are becoming more and more aware of how important family support is for managing BPD. Many experts are now recommending couples counseling as a useful addition to the standard BPD treatment regimen. Couples counseling may be able to help stabilize your relationship, teach you both how to communicate more effectively, and how to manage together more functionally. Through joint therapy, hopefully, your spouse will see the need for individual therapy as well. Since you believe that there are indications that your spouse has BPD, it may be best to choose a couples therapist who has some experience with personality disorder issues. Rather than a counseling coach, you may need an accredited therapist with a medical background to give you the appropriate assistance. Couples counseling with a BPD spouse can present unique challenges that are best handled by an expert. Links PS, Stockwell M. “Is Couple Therapy Indicated for Borderline Personality Disorder?” American Journal of Psychotherapy, 55:491-506, 2001. Work Group on Borderline Personality Disorder. Practice Guidelines for the Treatment of Patients with Borderline Personality Disorder. Washington, DC: American Psychiatric Publishing, 2001.